« The Act Like a Girl Show 11/16 at 10pm! 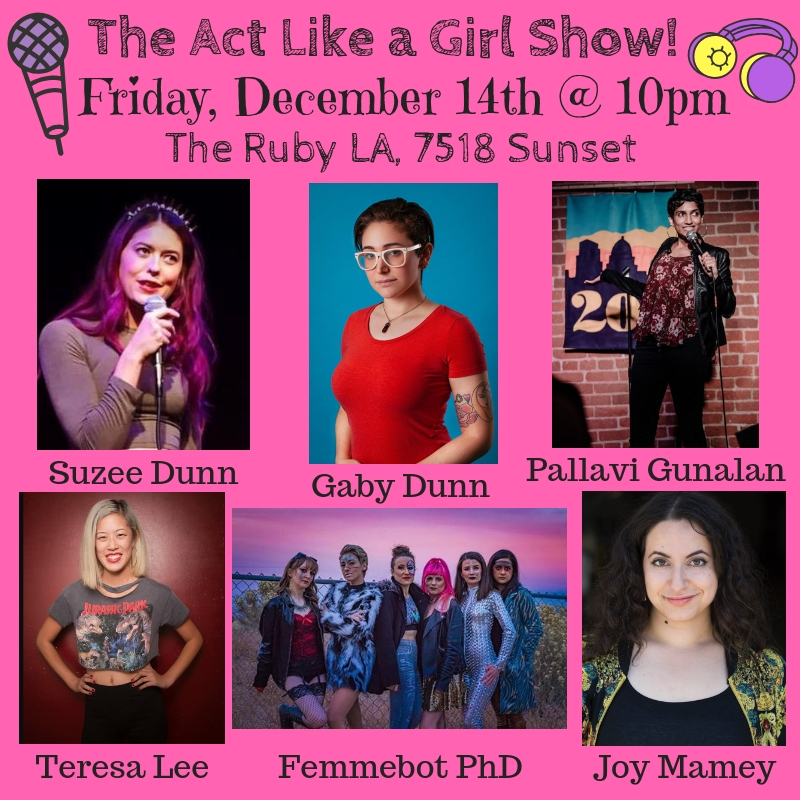 The Act Like a Girl Show holds residency at The Ruby LA! We will be at 7518 Sunset Blvd. on Friday December 14th at 10pm.